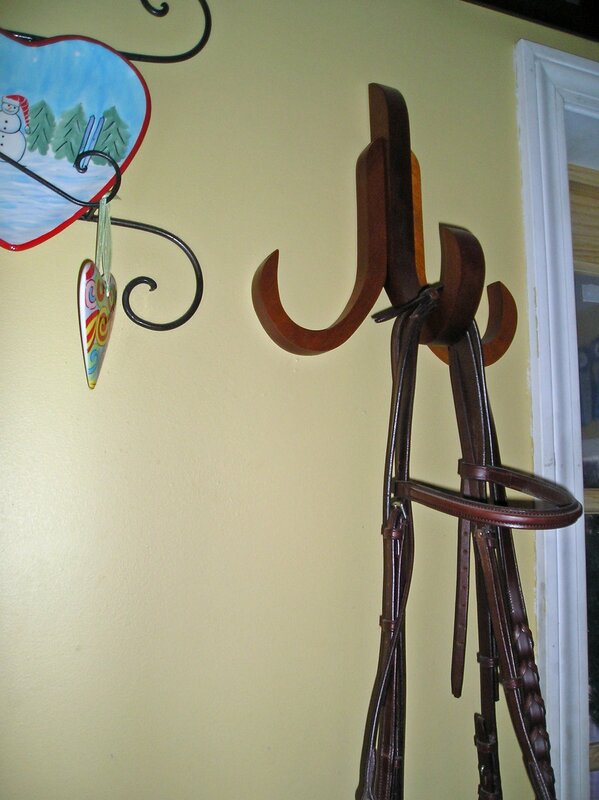 Buddy makes furniture… This all started as Buddy was going to build me a couple of “hooks” to hang a very pretty horse tray thing on our wall. I should have known better! 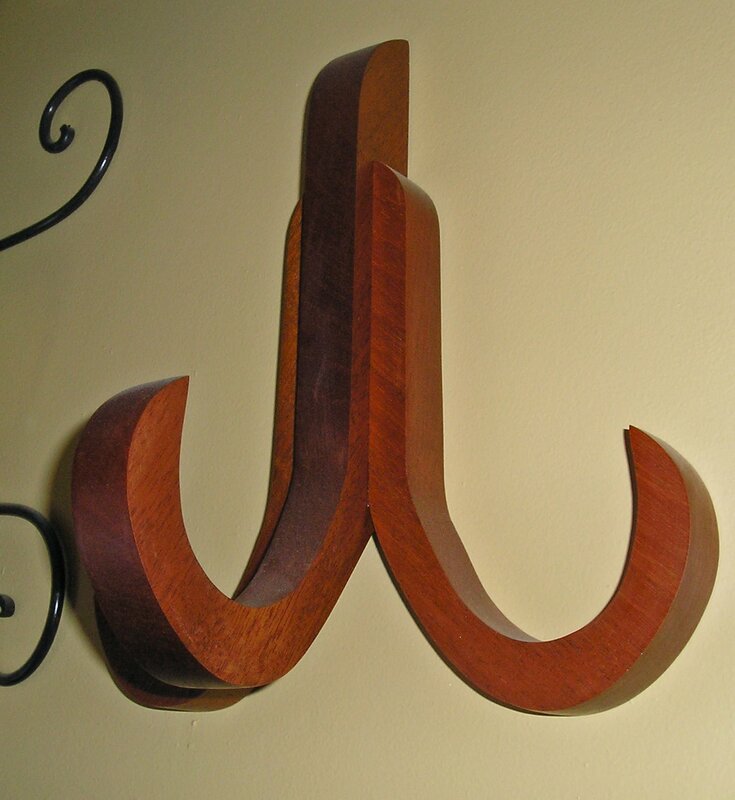 WELL, when he came up stairs with these hand crafted mahogany brackets, I said “that’s furniture, what are we going to hang off of those”? Buddy laughed, but when we held up the brackets and set the tray in it, the tray was dwarfed! So, that didn’t happen. 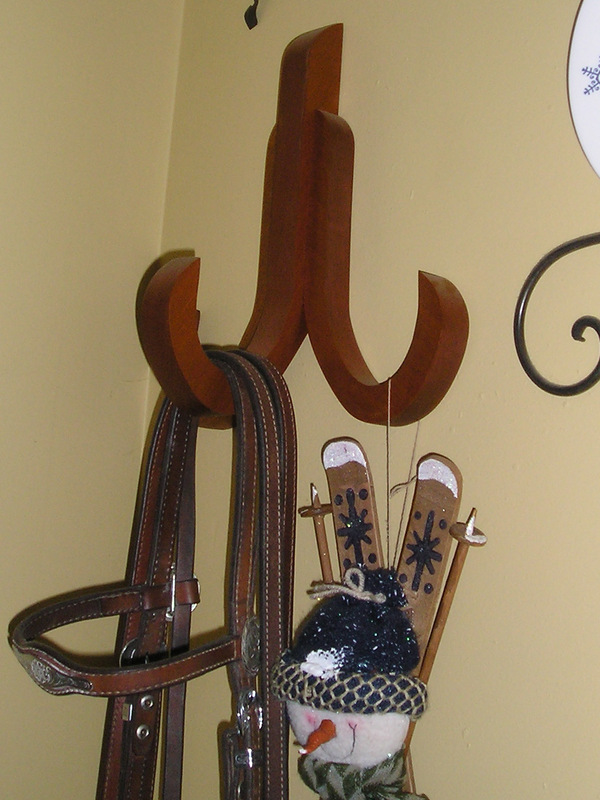 After much discussion, this is the end result, one each displaying my show bridles :). 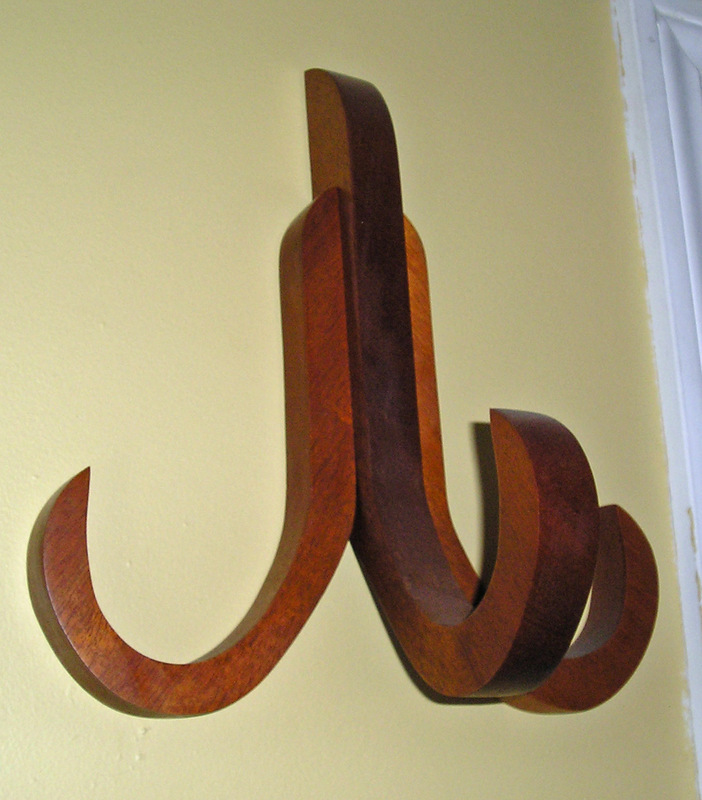 This entry was posted in Hand Crafted. Bookmark the permalink. ← Backyard Transformed…it’s an option! Looks like furniture to me!